I know this sounds like the ultimate first world problem, but I’m sure you can relate. Going into your favourite online shop with a particular item in mind, and yet leaving without buying a thing because you got overwhelmed with the amount of options, or even worse, realising you have just wasted your precious time browsing, without any success. Online shopping has done so much for us in terms of having access to products you might not have within the city you live in. 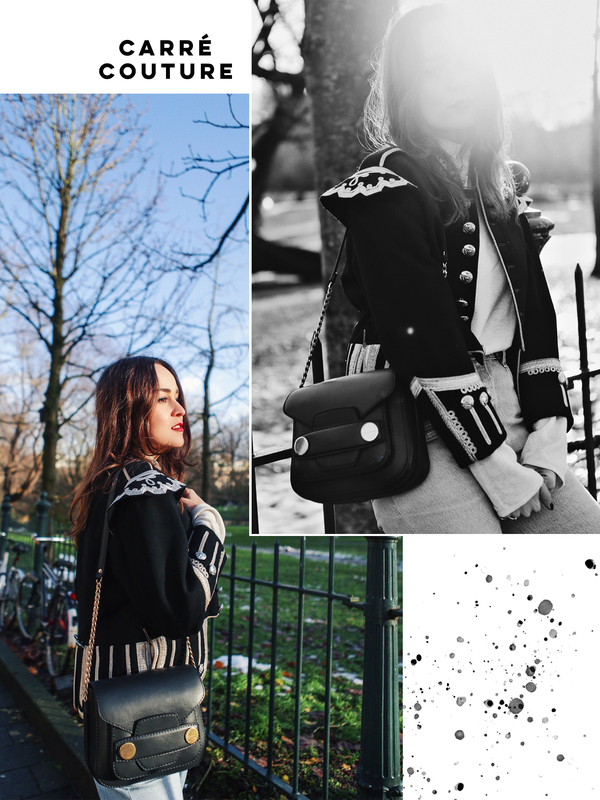 Even being able to see inspiration from your favourite style influencers and click to buy – or find it easily online-. 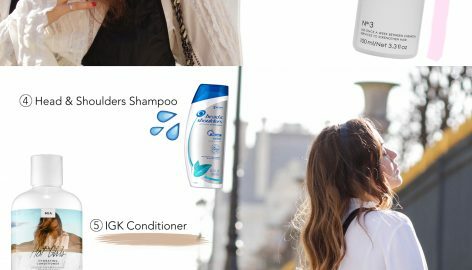 But as more and more products are being added, too much choice is becoming a barrier to actually buying things. 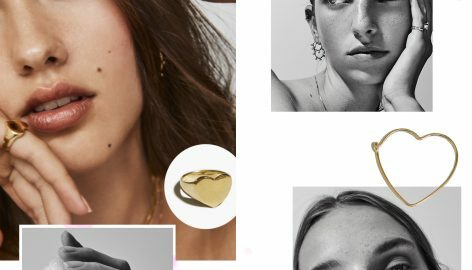 CarréCouture are working on a solution for us by partnering with leading international fashion boutiques and curating their own edit of fashion and accessories. Firstly, they’re aiming to understand each shoppers personal style, and then providing an expertly curated selection directly from boutiques. They’re even keeping track of purchases over time to help manage our wardrobe with inspiration on how to reuse previously purchased items from season to season. For me this is KEY, as I am the type of girl that likes wearing my favourite items over and over again and building “new looks” based on older items I had previously purchased (but if you follow me for a while, you already know this). 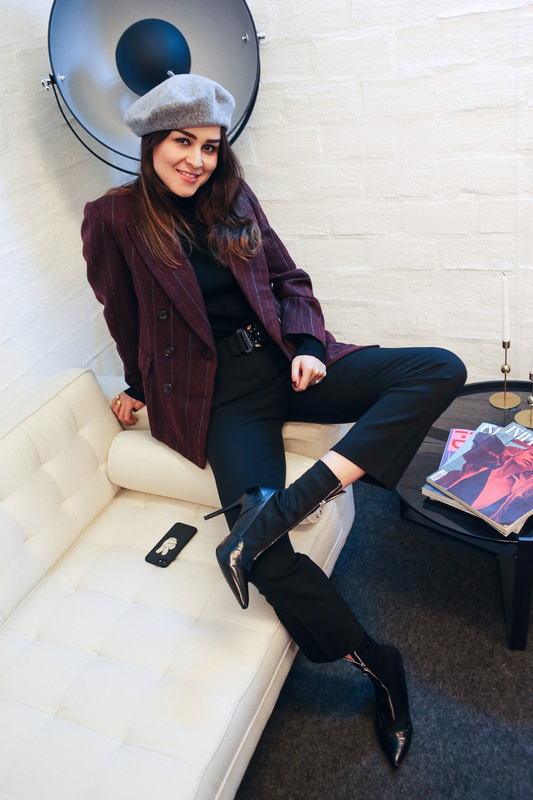 With the help of an in-house expert team of stylists, CarréCouture is focussed on helping me build and maintain the ultimate wardrobe through understanding as much about me and my own style as possible, while giving me the best curated selection relevant to me from leading international fashion boutiques. 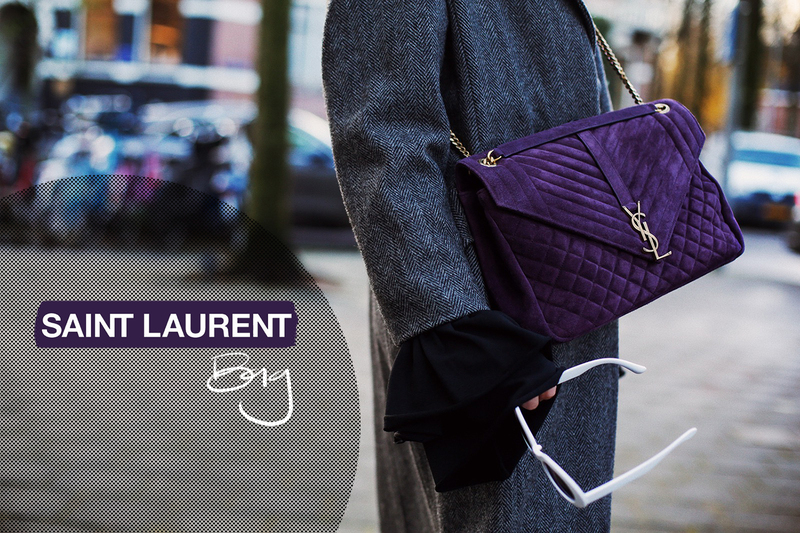 YSL Bag: With the Pantone colour of the year being ‘Ultra Violet’, I wanted something to add to my wardrobe that I could style through the year, but also be an investment piece that will last for years. This YSL bag achieves both perfectly. 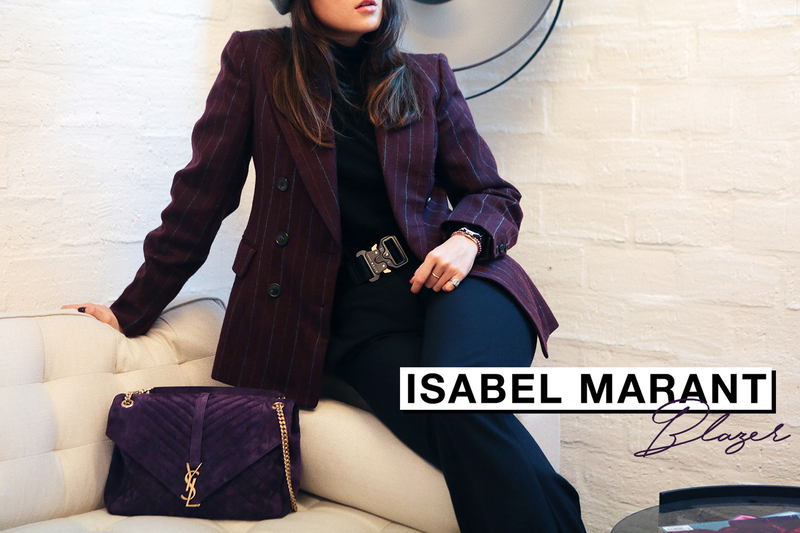 Isabel Marant Blazer: I think this blazer will be the perfect addition to my wardrobe for office looks and events, and matches perfectly with the purple YSL bag. Also, we all know too well how obsessed I am with collecting blazers, so this choice was a no brainer. 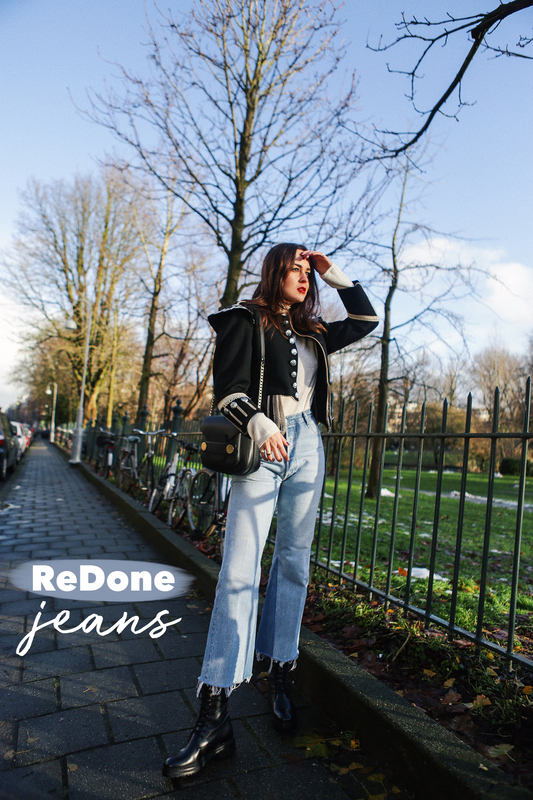 Re/Done Jeans: If you’re looking for a pair of vintage Levi’s but want an updated fit, look no further than Re/Done Jeans. 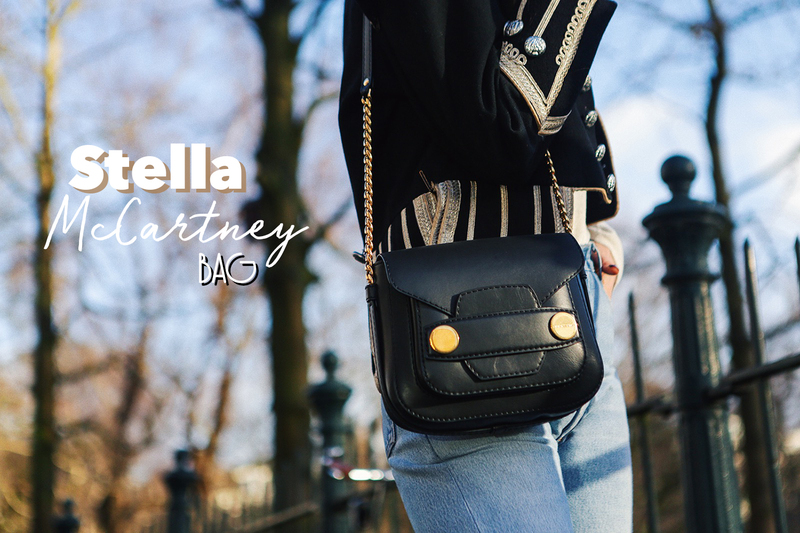 Stella McCartney bag: I think this is a perfect versatile bag to use with almost any look, which makes it a great investment piece. Hope you like my selection and make sure you check out CarréCouture and create your own Style Profile! SHEARLING JACKETS ARE YOUR BEST FRIENDS THIS WINTER. REDONE JEANS my favorite one! Llevas toda la razón, es un problema del primer mundo pero es un problema. Muchos días voy buscando un producto en contreto y tengo tantos donde elegir que al final no elijo ninguno. El único contento es mi marido. 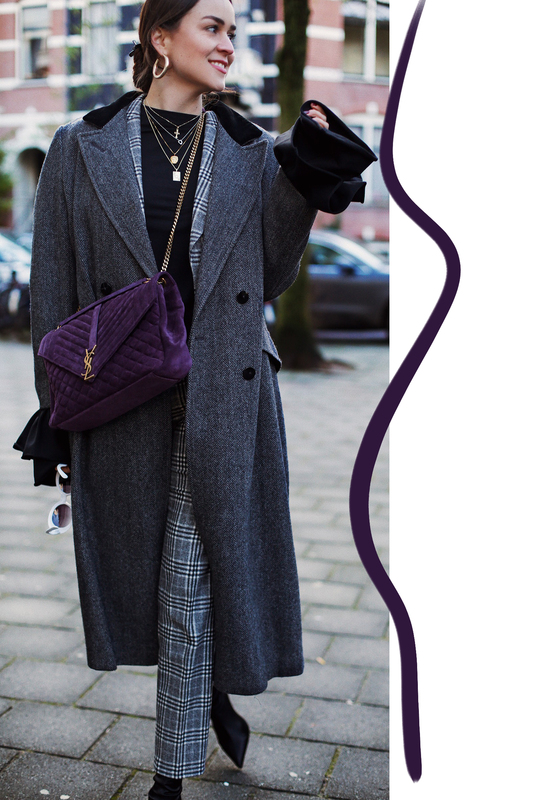 I’m always inspired with your style, I’m live in a warm city and i’m always dreaming about winter and wearing coats and boots! I love the idea of it being personal! 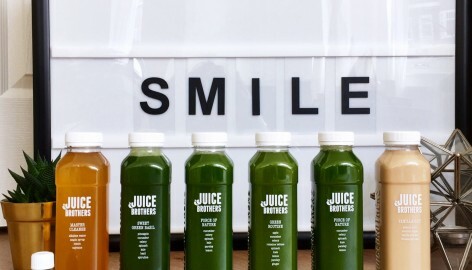 I think thats most important and I think this sounds awesome – I know what I’m going to be browsing now hehe! Thanks for sharing! Me encantan todas las piezas que te han llegado. Y los looks que has montado con ellas. Tienes un estilo que me inspira mucho. Un saludo!! So great post, love this! I just love your style Andy so I am so happy when you give some shopping tips! Thanks dear! I will share a lot more of these soon! So very lovely ♥️looks… baby you are looks so glam in different colour but it’s always a sweet and charming shades. fabulous outfit looks as always! ♥️👍🏼 i really like these collection. Love this blazer, gorgeous color. Agree!!! Its such a statement piece and have a very unusual colour :D.